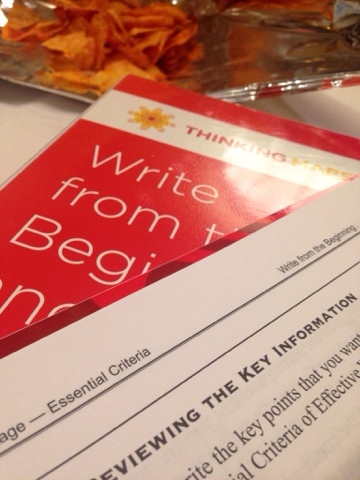 Thank you PFC for sending me to the Write From the Beginning...And Beyond training! 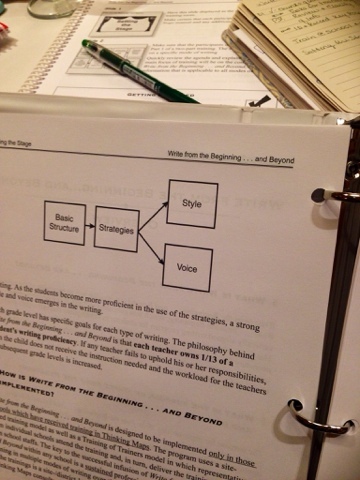 I am already a Thinking Maps trainer of trainers so I was thrilled to be trained to use Thinking Maps in my writing program. For the last several years I'd been teaching ELA using the Reader's and Writer's Workshop model and I loved it, still do. 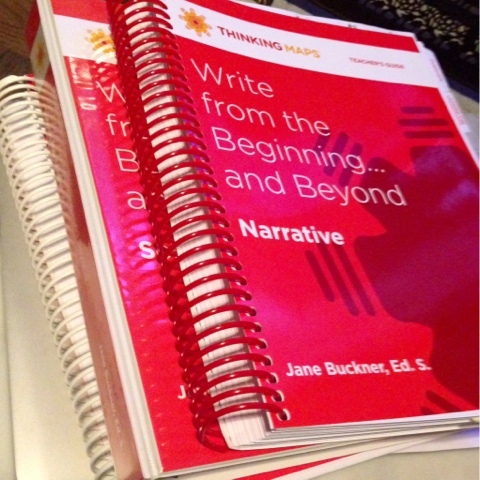 I integrated TM's into writing daily anyway and the Write From the Beginning program is like my Thinking Map infused Writer's Workshop on steroids and with specific grade level focus. I love it. LOVE it. I really just cannot wait to get in my classroom and start using all of these amazing strategies! So... it may not look like much in pictures, but trust me -this week was a game changer!